Doofor DF500X is a high-power and high-frequency rock drill for general excavations, dimensional stone quarrying, and other quarrying. 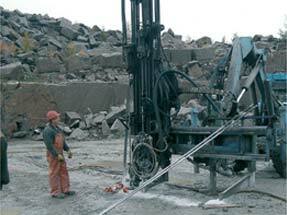 The rock drill is equipped with a hexagonal female chuck for rod shank sizes of 108mm [4 ¼”] * 22mm [7/8″] or 25mm [1”]. 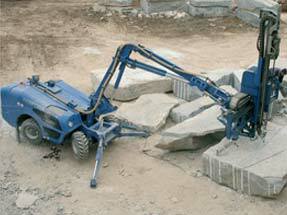 For this rock drill, Doofor offers carriage plates and a choice of hydraulic, pneumatic and mechanic steel retainers. 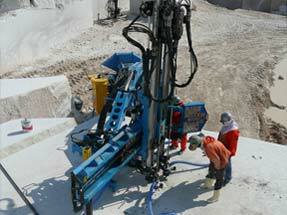 Optimal maximum hole diameter for the DF500X is 45mm [1 ¾”]. Doofor DF500X can be used with air flushing only. Feed force (pressure) must be adjustable during operation. For efficient lubrication, the lubrication air pressure should always be set 2 bar higher than flushing pressure. *) Numbers given are for a standard rotation motor (20cm³) at an intermittent pressure of 140bar [2031psi]. Motor options are 12.5cm³, 20 cm³, 32cm³, 40cm³ and 50cm³. For professional use only as a component of a hydraulic system.